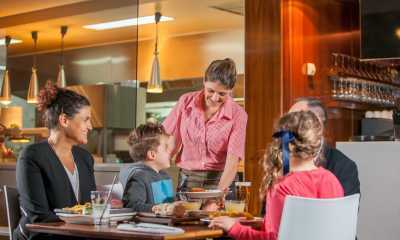 Our Award-Wining Brasserie is located on the ground floor of the Heritage Listed Brompton hotel. A contemporary, light filled space with its own private bar makes it ideal for your dining experience. 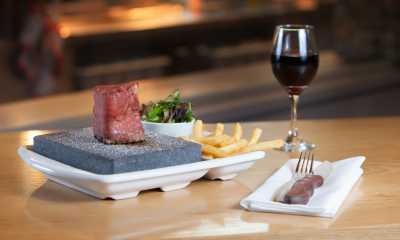 The menu is a fusion of Modern Australian cuisine and heralds the famous Stonegrill. Start your meal with a Share Board and enjoy table service where you can watch the kitchen in action through our unique viewing direct from The Brasserie. The Brompton is a Pre-Event specialist, we can have you seated and your dining experience completed to get you out the door on time for the show! 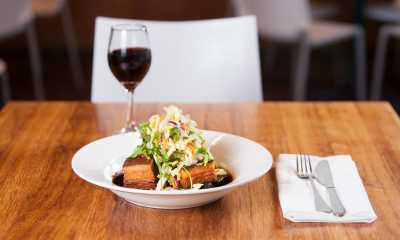 The Brasserie also caters for corporate and private events with capacity of up to 80 seated. The perfect venue for sit down dinners, networking events, cocktail parties and family get togethers, the private bar makes for easy access for your guests.